Broadcast or Stream Live over the internet. Want to reach the Global TV Village? Broadcast Live Online on the internet. Sounds simple? You may have tried other solutions yourself but found so many challenges trying to support all the smart devices on the market? Need the solution? Looking for a solution to Broadcast live online for your Satellite TV channel, church, community TV let Purple Turtle make it happen. We have over 4 years of streaming experience in the Africa context so we understand well what is needed to make streaming work in and out of Africa. We will help you get your channel out to viewers around the world as well as viewers closer to home though our TvOnDevices solu tion. We will assist you with full solutions where we do it for you or even assist you with our resources to help you stream yourself on our network, the choice is yours. Our streaming toolbox allows us to customize solutions around your needs and objectives. Don't get left behind in the online TV revolution. Start today and stay ahead of the curve. Current stats show ever growing percentage of US households have "cut the cord" and now go online for the TV and media viewing needs. 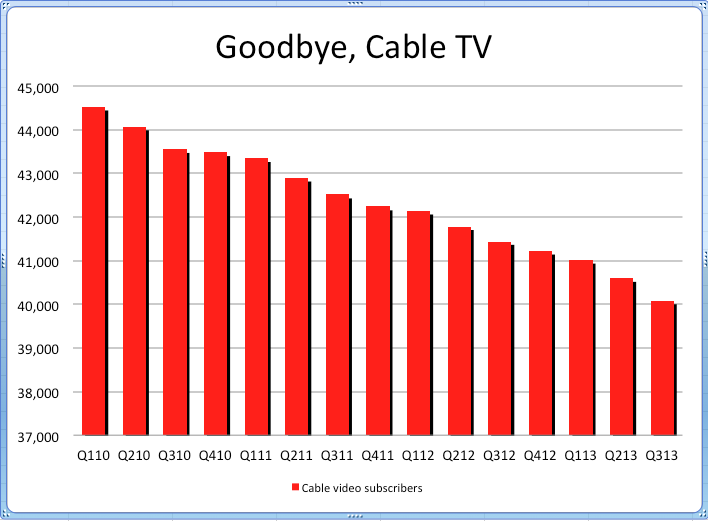 Cable TV and satellite are on the decline subscription wise (see graph) People are changing the way they consume television. If you are not streaming online you are loosing out on the global TV market. Are they going to your stream or your oppositions?